Whether you have a large house with several windows or a small condominium, there’s always going to be a need to heat and cool down your humble abode to maintain a certain level of comfort. With the proper appliances, you can ensure that you’re never using more energy than necessary. Combine them with cost-saving tips and you can be on your way to dramatically reducing your carbon footprint. Here are some tips to help you cool and heat your home more efficiently. If you live in an area where it’s warm throughout most of the year, you’re going to want to be mindful of what you use to keep your home cool. 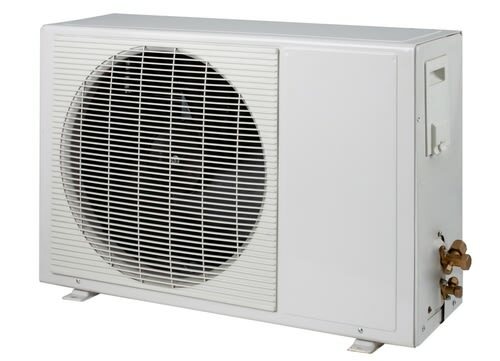 Air conditioners can use an ample amount of electricity and energy. However, Energy Star rated models can help you make sure you’re never using more than you need. For instance. Frigidaire makes several models that are Energy Star certified with 10,000 BTUs of power. A dirty air filter can inhibit the air flow in both heaters and air conditioners, according to Energy Star. For this reason, it’s a good idea to keep an eye on your filters throughout the year. Ideally, they should be changed every three months, especially during periods of regular use. A build-up of dust can also cause your heater or air conditioner to malfunction, which can result in costly repairs. In the summer, window coverings can help you block out the sun and keep it from warming up your house. During the winter, curtains can provide insulation and ensure that your humble abode stays warm throughout the season, according to the U.S. Department of Energy. Look for blackout curtains, which are made of a thick material, for energy-saving purposes. A programmable thermostat can help you make sure that you’re never using your heater or air conditioning more than you need to. With one of these devices, you can maintain the amount of time that these items operate in your home. In turn, you’ll have one less thing to worry about when you leave the house for the day or a lengthy vacation. Whether you’re interested in going green or simply want to save money, these tips can help you do so sooner rather than later.